Making horchata normally requires an overnight soak to soften the rice. Using a pressure cooker means you need just a few minutes to get the same result as you would from eight hours of soaking. The result is a refreshing, creamy, cinnamon-scented drink that is served chilled. It is sweet and perfect for sipping on a warm summer day. Kids and adults alike love this unique drink! Garnish with a cinnamon stick for added flair. Mix 2 cups water, rice, and cinnamon stick together in a pressure cooker pot. Close the lid and set the valve to Sealing. Press Pressure Cook and cook for 1 minute on High Pressure. Once the cooking cycle has completed, allow pressure to release naturally for 10 minutes, then set steam vent to Venting to quick-release remaining pressure. Pour rice mixture into a blender; add condensed milk and vanilla extract. Blend mixture into a paste. Pour 4 cups cold water into a large container. Pour blended rice paste through a fine-mesh strainer into the water. Mix well and refrigerate until ready to serve or enjoy immediately over ice. This recipe makes more than six cups. You can double or even quadruple the recipe, but keep the water amount for the pressure cooker at two cups. 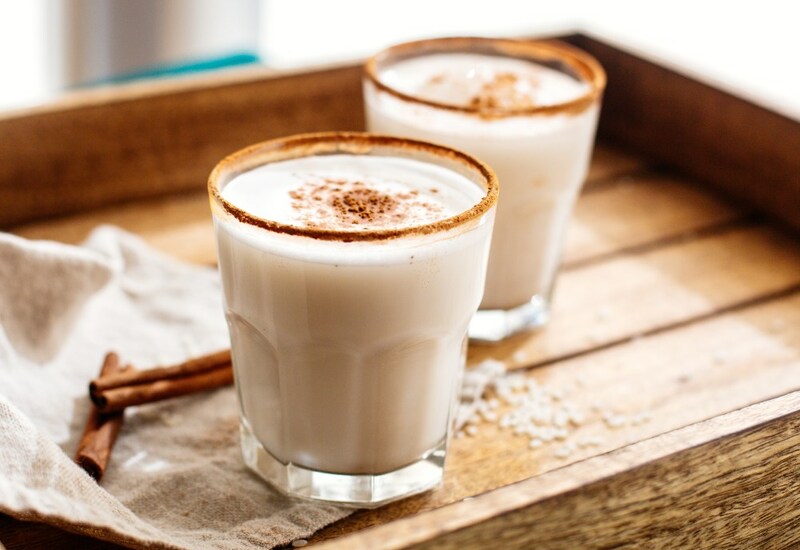 Horchata can be found in most Mexican restaurants and also can be purchased from street vendors in Mexico. Per Serving: 309 calories; 8g fat; 53.1g carbohydrates; 8g protein; 31mg cholesterol; 125mg sodium. This was another recipe where my friends and I added some fireball whiskey to the mix. This was my first time making horchata and it was super easy and tasty. Love this served very chilled on ice. Horchata is one of my all-time favorite drinks, and I am so stoked that I can make it in my MultiPot pressure cooker! The flavor is great and the cook time of 1 minute really can't be beat. Fabulous! Love horchata! I doubled this recipe and made it for a party at my house. It was a big hit! Very authentic tasting and so easy to make in the pressure cooker. My wife and I love this drink and we are both really excited we can now make it at home. We've tried this recipe twice already, it's definitely our new favorite. There's nothing quite like authentic Mexican horchata. I've always had to soak my rice for at least 8 hours, which is a pain. This pressure cooker version eliminates that step, which I love. I did make some adjustments, I added 1/4 cup sugar and used 1 whole cinnamon stick to get the right balance of sweet and cinnamon flavors. I'll definitely make it again! This was a lot easier to make than I realized, and so delicious! I will definitely keep making this recipe. I made your horchata with the following changes: 1/3 cup medium grain rice instead of 1/4 cup, one whole can of sweetened condensed milk rather than 1/2 can, and used 1/2 teaspoon of vanilla. I also put the mixture in my Vitamix blender for 3 minutes and there was no need to strain what so ever. Being in my 70"s I think my taste buds needed a little more flavor and this was absolutely divine! I think I have a new favorite drink. Next I'm going to experiment with making my own sweetened condensed milk from WHOLE milk powder and a non sugar sweetener I mix up and see how that works. Thank you for an introduction to this marvelous flavored drink. Love this recipe!! I didn’t & wouldn’t change a thing...this is awesome! I did use jasmine rice & clear vanilla from Mexico...so yummy & authentic.